Since humans have been on the planet, the global tree count has fallen by 46%. Every year, 15 billion trees are cut down. Many of those trees become furniture. If you’re looking for a fun, eco-friendly, healthy chair, you need a bean-bag chair! 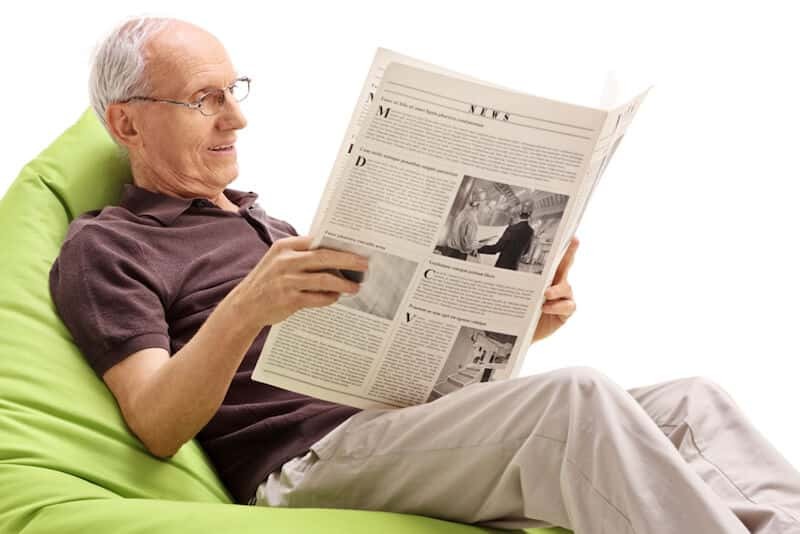 Read on to learn more about bean bag chairs and their many uses. Do you suffer from muscle or joint pain? Regular seating is sometimes uncomfortable and even painful. A big lounge chair looks comfortable. But it doesn’t always conform to the body. Inside bean bag chairs there may be different materials. Shredded memory foam is one of the elements available. A bean-bag chair filled with shredded memory foam conforms to your body. It also offers postural support. The relaxation that comes from sitting in a bean-bag chair helps alleviate neck and shoulder tension. The beanbag chair provides a constant level of support which helps with pain reduction. When your body relaxes, you’re also less likely to suffer from tension headaches. Bean-bag chairs are great for sitting on if you spend lots of time in front of a computer. And they come in all shapes and sizes, so you can find one that works for you. Most offices are required to offer ergonomic furniture. Try a large bean-bag chair when you’re at your computer. A large bean-bag chair provides postural support to help banish your neck, shoulder, and back pain. Don’t want to contribute to all those trees getting cut down? Try a bean-bag chair. Most bean-bag chairs use fabric for the outside. Most bean bags use shredded memory foam or EPS Polystyrene filler beads for stuffing the inside. There is no wood used in bean bag chairs. Deforestation is a serious global issue. The loss of trees contributes to global warming and pollution. Trees help keep the air clean. If you buy a bean-bag instead of a traditional wooden chair, you’re improving the environment. Did you know that you can relax both poolside and in the pool in a bean-bag chair? Beanbags work better than traditional floating loungers in the pool. They’re more comfortable than mesh loungers. They also dry out quickly. Bean-bag chairs come in many sizes. You can store small bean-bag chairs in the closet, attic, or garage and pull them out when you have a house full of guests. Toss them around the living room or family room for extra seating. Put a small board across the top of a medium-size bean-bag chair to make an extra coffee table. Three small bean-bag chairs turn into an additional two chairs and a coffee table for guests. Have a home theatre? Large bean-bag chairs make perfect theatre seats. And they don’t have to be arranged in monotonous straight rows. Pick them up and move them around to get the best view. How do you like to sit? There are multiple ways to sit in a bean-bag chair. And you are not limited to just sitting. You can lie on your side or stomach, lean back, or sit up. In a beanbag, it’s easy to get cozy and comfortable. Bean-bag chairs are great for game rooms. Hook up the gaming system and sit back in your favourite bean-bag chair. And don’t forget Fido! Dogs also love bean bag beds and chairs. A bean bag for your dog will improve your pets sleep, and they’re durable and easy to clean. Good quality pet beds have removable covers. A removable cover is easy to throw in the washing machine. You can take the bean bags outside and inside. Pet beds from the pet store are expensive. Beanbag beds are lighter on your budget. Adults, teenagers, and kids all love bean-bag chairs. They fit in with almost any decorating theme. They’re fun and stylish. Are you looking for the perfect way to use a bean-bag chair? How about a room refresh for one of your teenagers? Start with an accent wall. Paint the main wall of the bedroom a bright, fun colour. Make sure it complements the other wall colour without clashing. Hang some sheer curtains that match or complement the colour of the accent wall. Add a cozy throw, a couple of pillows, and a rug in varying shades of the accent colour. For the finale, order a bean bag chair to match the accent colour. Your teenager’s friends will all want a room like hers! Have a library room or reading nook? Bean-bag chairs are the perfect solution. Bean bag chairs come in so many styles, colours, and shapes; you’re sure to find more than one that works for your decorating situation. One of the best things about bean-bag chairs is their durability. You don’t have to worry about screaming at the kids to get off the furniture. The kids can pick them up, move them around, and play on them. You don’t have to worry about them breaking. And you don’t have to worry about anyone falling and bashing his or her head. How many times have you picked up a crying child who fell and hit his head on a wooden chair? If you land on a bean-bag chair, it doesn’t hurt! The fabrics are sturdy. The pool chairs are waterproof. The filling is resilient and robust. They’re easy to clean. You Need a Bean-Bag Chair! Bean-bag chairs have been around for generations. They’re versatile, fun, and stylish. They’re also ergonomic. Help diminish muscle and joint pain by using a bean-bag when sitting in front of your computer. 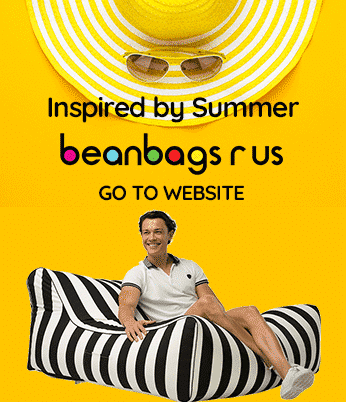 Now that you know how great it is to own one, don’t you need a bean-bag chair?